Prime Minister Alexis Tsipras and his coalition partner Panos Kammenos, who is also defense minister, Monday dined together at the Hellenic Armed Forces Officers’ Club in Athens amid efforts to smooth over tensions in the government concerning the Prespes name deal which is to be discussed in Skopje’s Parliament Tuesday ahead of a vote. Government officials indicated Monday that the two men were gradually overcoming their differences on the deal between Greece and the Former Yugoslav Republic of Macedonia. At the same time Reuters quoted government sources as reiterating that support for the deal from independent and opposition MPs has already been secured, suggesting that Tsipras does not depend on Kammenos’s Independent Greeks (ANEL). Tsipras is to chair a cabinet meeting at noon Tuesday where, sources indicated, the government will seek to send a message of cohesion. 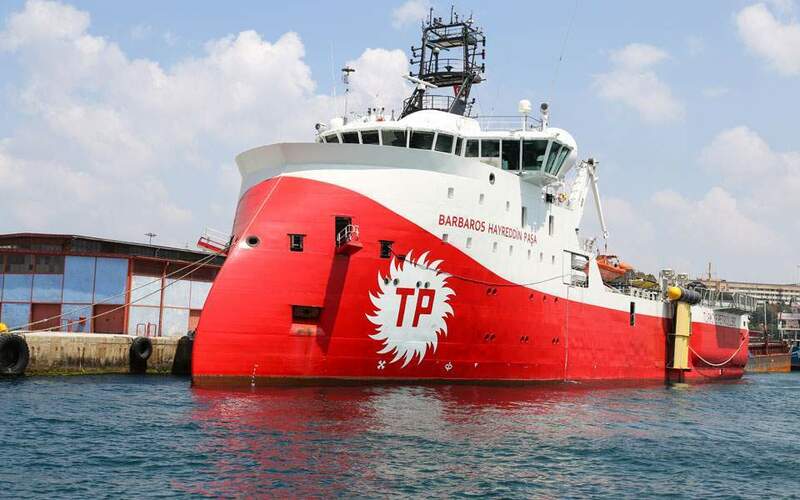 However, the leftist premier has also sought to issue a very clear message – both to Kammenos and FYROM Prime Minister Zoran Zaev – that there is no alternative to the Prespes deal. Tsipras said as much during a speech to SYRIZA MPs over the weekend just a few days after Kammenos proposed an “alternative” plan to the Prespes agreement during an official visit to the US. 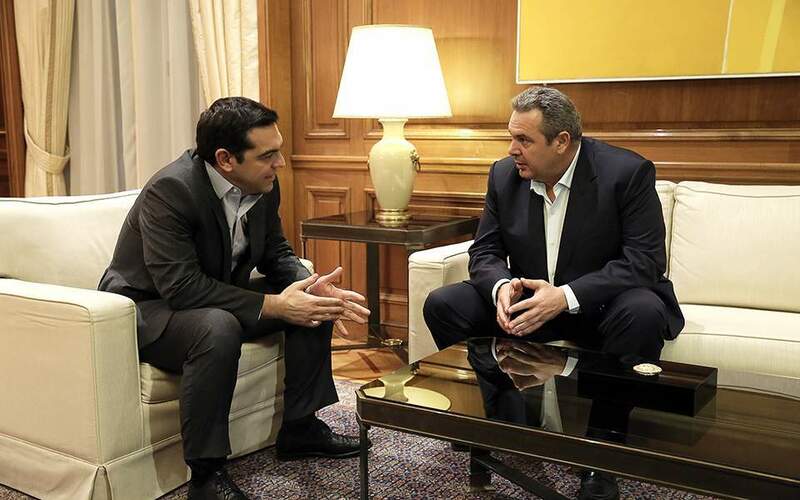 In comments on state television Monday Kammenos claimed that Tsipras had known about his idea for an alternative plan but had not approved it. 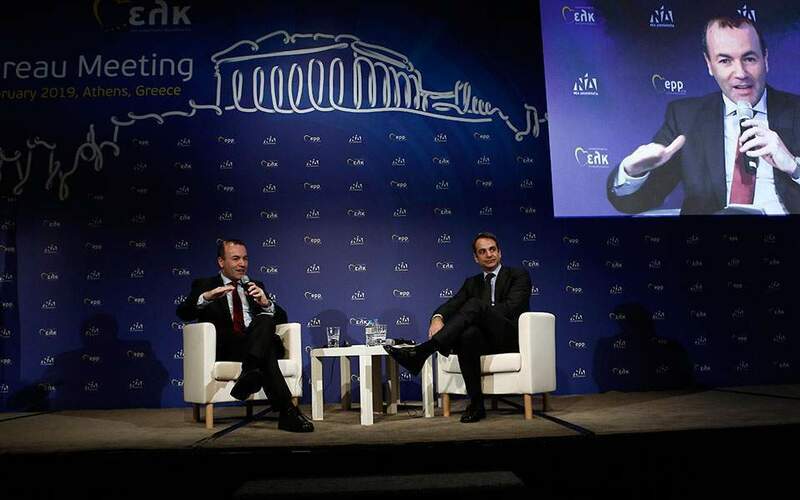 Conservative New Democracy leader Kyriakos Mitsotakis hit out at the government as a “cynical power alliance,” claiming that the partners’ only interest was staying in power. 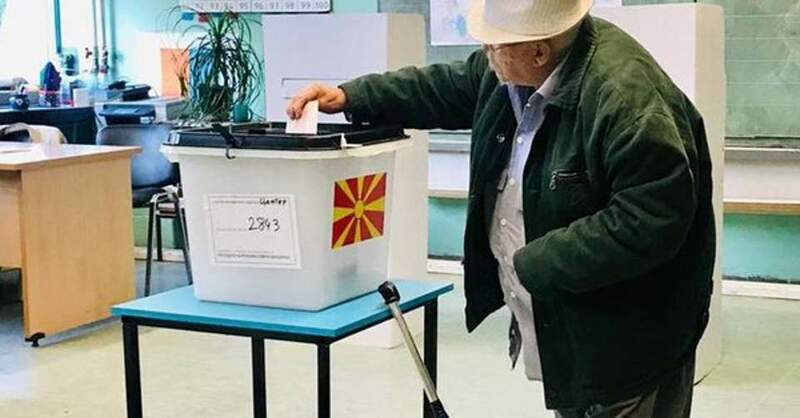 As Greece’s coalition partners strive to find common ground on the contentious name deal, Zaev has been trying to win enough opposition support to push the agreement through FYROM’s Parliament. A debate on the deal is to begin Tuesday and can continue for up to 10 days before a vote is held.